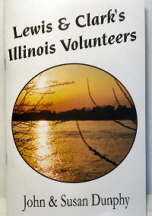 Lewis Journeyed to Fort Massac and Fort Kaskaskie in the Illinois country to seek volunteers with a thirst for adventure and skills to accomplish this mission. The Illinois country provided more military recruits than any other state or region. These men played a pivotal role in the expedition’s success. This book is about these men.